In New Hampshire, South Carolina and elsewhere, voters this weekend were more interested in talking about anything other than the Russia inquiry. ROCK HILL, S.C. — While the release of the major findings from special counsel Robert Mueller's Russia investigation enveloped the political discussion in Washington, Democratic presidential candidates were having different conversations as they barnstormed early primary states over the weekend. In New Hampshire, South Carolina and other states, voters at half a dozen campaign rallies rarely asked about the investigation or the report, opting instead to ask the candidates about health care, guns, climate change and college debt. It's a small window into voters' minds but a telling one as the Mueller report news dominated the headlines, front pages and cable news through out the weekend — and an indication that the investigation may not be as potent of an issue in the next election as it seems to be now. Most of the candidate events took place after the special counsel's report was delivered to the Justice Department but before the summary of findings was released Sunday afternoon. During a daylong swing Saturday in South Carolina, Sen. Cory Booker, D-N.J., was asked nearly two dozen questions by voters and only one was on the Mueller report. He didn’t mention it as part of his stump speech. 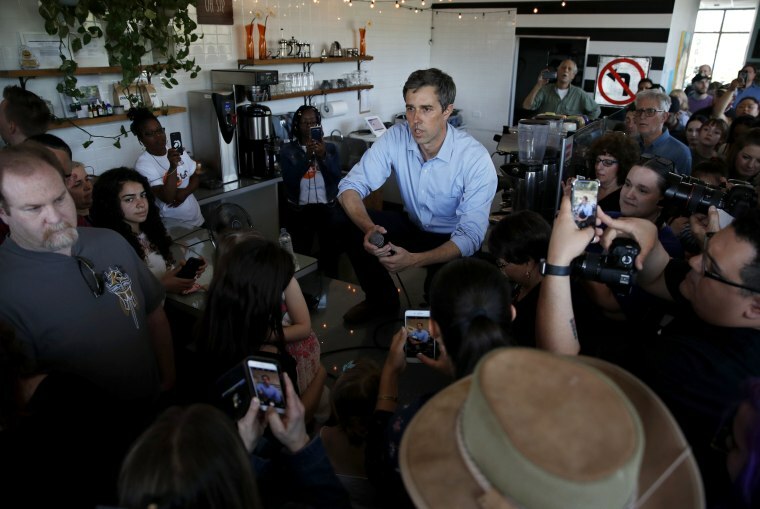 Former Texas Rep. Beto O'Rourke answered more than 100 questions from voters in eight states on his first swing as a presidential candidate last week, and not one was about Russia or Mueller, including during the two days after the report was turned in. When voters were asked about it by reporters, however, they responded by saying the report should be released in full, giving Democrats the backing to continue to press Attorney General Bill Barr on that front. Every Democratic candidate has called for transparency after Barr released a four-page summary of the findings Sunday evening. Russia and the Trump campaign has been a constant focus among Democrats in Congress since Trump was elected, and that escalated after Mueller opened his investigation in March 2017 and as the House and Senate Intelligence Committees opened their own probes. But it was not a factor in the 2018 midterm elections. Democrats won control of the House by largely ignoring the issue in races in which voters cited health care as their main concern. And some Democrats caution that the Mueller probe is not how they are going to win back the White House in 2020. “Unless Mueller had a transcript of Trump on the phone with Putin asking for help, the Russia stuff was never going to win us the election in 2020,” said one Senate Democratic aide, who was not authorized to speak publicly. In Rye, New Hampshire, no one in the crowd on Saturday asked Sen. Amy Klobuchar, D-Minn., directly about the Mueller report. Instead they were primarily curious about her stance on climate change, immigration and health care. During a question about the separation of powers, she briefly mentioned the Mueller report, taking a shot at Attorney General Bill Barr’s views of executive power. When NBC News asked, Klobuchar said she was surprised that no one brought it up. Pete Buttigieg, the mayor of South Bend, Indiana, and a 2020 presidential candidate, never mentioned Trump or Russia during his stump speech in Greenville, South Carolina. The closest he got to was when he criticized Republicans for turning all of their attention to building a border wall rather than focusing on hackers who “harmed our democracy when we were attacked" in the 2016 election. Buttigieg drew the loudest applause when he spoke about social freedoms like gay marriage, women’s right to choose and the security one feels when their medical expenses are covered by insurance. Only 7 percent of respondents in a recent Fox News poll said that there was a “strong chance” that their opinion of the president would change depending on what the Mueller report said, while 70 percent said that their opinion wouldn’t change or a “small chance” that it would change. One South Carolina voter waiting for a haircut at the Kut Kreater barber shop in Rock Hill on Saturday when Booker stopped in to shake hands said he is no fan of President Donald Trump, but added that he doesn't believe the report will change anyone’s mind. 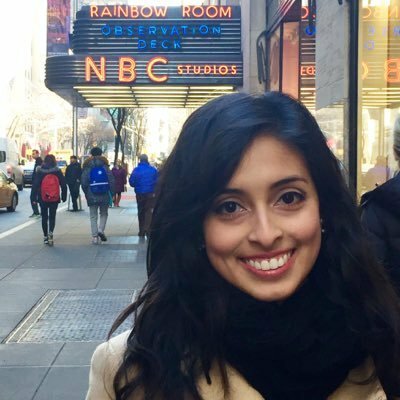 Leigh Ann Caldwell reported from Rock Hill; Kailani Koenig from Charleston, South Carolina; Marianna Sotomayor from Columbia and Rock Hill, South Carolina; and Kasie Hunt from New Hampshire. Garrett Haake contributed reporting from Charleston, South Carolina and Hans Nichols from Atlanta, Georgia. 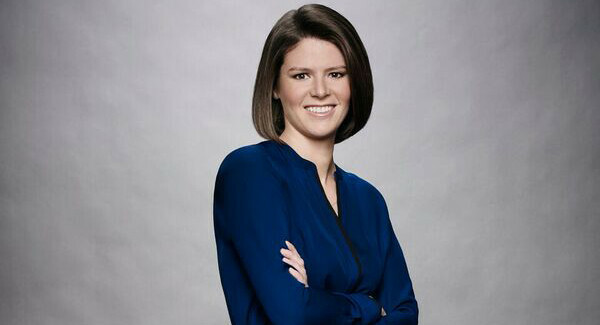 Kasie Hunt is an NBC News Capitol Hill correspondent and the host of MSNBC's "Kasie DC." Garrett Haake and Hans Nichols contributed.